According to the zoning plan until 2025, Saigon’s East area is going to become an urban centre of knowledge and high technology in Ho Chi Minh City, where many important large-scale transport infrastructure projects are convergenced. Savills forecasts that in 2018, the eastern districts of HCMC will continue to lead the real estate market and account for 50% of the market. 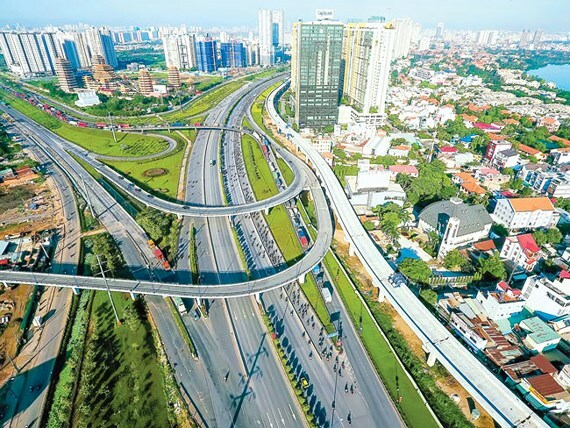 The East of the city has emerged thanks to the convergence of dozens of large and small infrastructure projects including Ben Thanh – Suoi Tien Metro route No. 1; Ring belt road No.2,3,4; the expansion of Hanoi Highway; building and putting into use Sai Gon 2 bridge; Mai Chi Tho road connecting to District 9; Thu Duc District long with District 2 connecting to District 1; Thoi Dai Bridge connecting to the Diamond Island; Pham Van Dong road connecting the East with Tan Son Nhat international airport etc. Especially, policy that agrees for HCMC to advance capital for the Metro No.1 route was approved by the Prime Minister in the medium term investment plan 2016 – 2020, to ensure that the construction implementation is right on schedule, causing the value of real estate in this area has quickly “increased in heat”. East area currently has the best investment in infrastructure in HCMC. Besides the synchronous development of transportation system, the East area is also the prominent area in the city for trade boom and utility services. High-tech zones, science and technology parks, international schools, hospitals, major shopping centers have contributed to providing residents with a dynamic and modern living environment. In addition, the East area has a large and clean land fund, good quality and green environment etc which are also strong points to attract customers. The rapid development of traffic infrastructure in East Saigon in recent years, typically District 2, is one of the key factors contributing to the city’s dynamic pace and the continuously growth of the city. 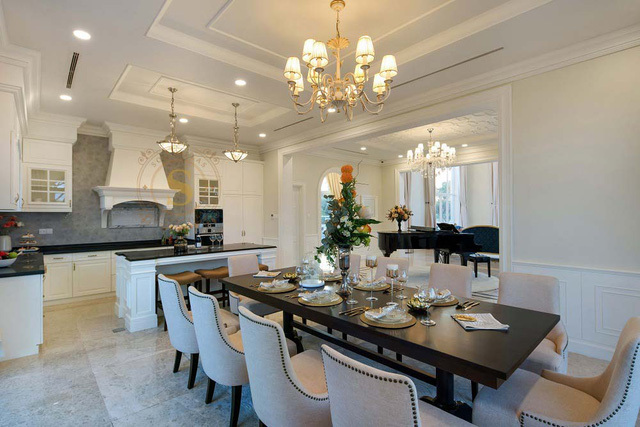 This also stimulated new bursts of real estate projects, especially the high-end segment. The race for the “superior position” is not only limited to the basic elements such as product quality, location, design style, price, payment method, sales policy but also is about legal issues, green environment, financial support; especially the values of community culture. The Luxury compound Sol Villas attracts customers thanks to many outstanding strengths points. 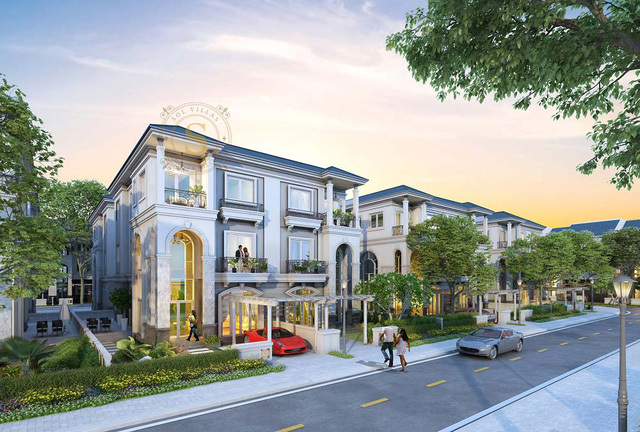 Attracting the attention of many high-class clients, The Luxury compound Sol Villas (located near the administrative center of District 2, Ho Chi Minh City) with its classy neoclassical architecture as the highlight. Sol Villas has Thierry Van De Wyngaert, former president of the French Academy of Architecture, as architectural consultant. Speaking of Sol Villas, Mr. Thierry said that this is one of the few villas that reachs the standards of neoclassical architecture, giving owners “antique but never-old” values. The upscale style of Sol Villas’ living environment. Besides the strong points in architecture, transport infrastructure etc, this project is also highlighted by the carefully maintained green environment, low density of construction (only 24.09%), internal utilities system, transparent legal procedures and attractive financial support policies in cooperation with Vietcombank (loans up to 70%), VIB (loans up to 80%) etc. In addition, the coordination with the reputable units such as CBRE (operation management), F.D.C (main contractor)… also helps Sol Villas project assert its quality in the high-end real estate segment in the East area.